The Mayor’s remarks – in a written answer to a question tabled by Labour’s Val Shawcross AM – will come as a disappointment to those hoping to see red bikes on the Rotherhithe peninsula in the near future. I have been contacted by residents in Rotherhithe who are keen to see the cycle hire scheme expanded on Rotherhithe peninsula particularly near the riverfront as there currently are no cycle hire facilities in this vicinity. Please can this be considered? As explained in MQ 2014 /3442, there are no plans to expand the scheme outside of the current footprint at this time. 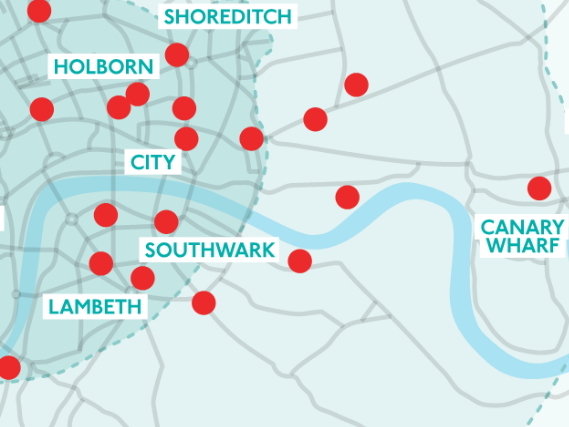 The main focus for the Cycle Hire scheme, at present, is to identify locations for more ‘intensification’ sites with our borough partners within the existing footprint of the scheme. By increasing the density of docking points, particularly in Central London, users will have greater opportunity to hire and dock bikes and the redistribution operation will be more efficient. This said, I view the scheme as an expanding programme and TfL is more than happy to look at suggested sites and areas, subject to a range of criteria that must be met for docking station installation. These include topography, operational considerations and future funding. 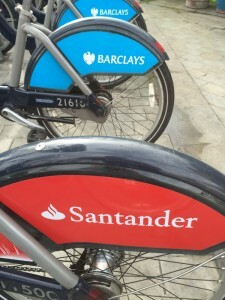 Both boroughs and private landowners who are interested in Santander Cycle docking stations are encouraged to contact TfL. Duncan Robertson, Business Development Manager, is the first point of contact and can provide assistance on issues of funding, site locations, and other ways TfL can help. TfL remains engaged with all London boroughs regarding intensification and any possible future expansion. 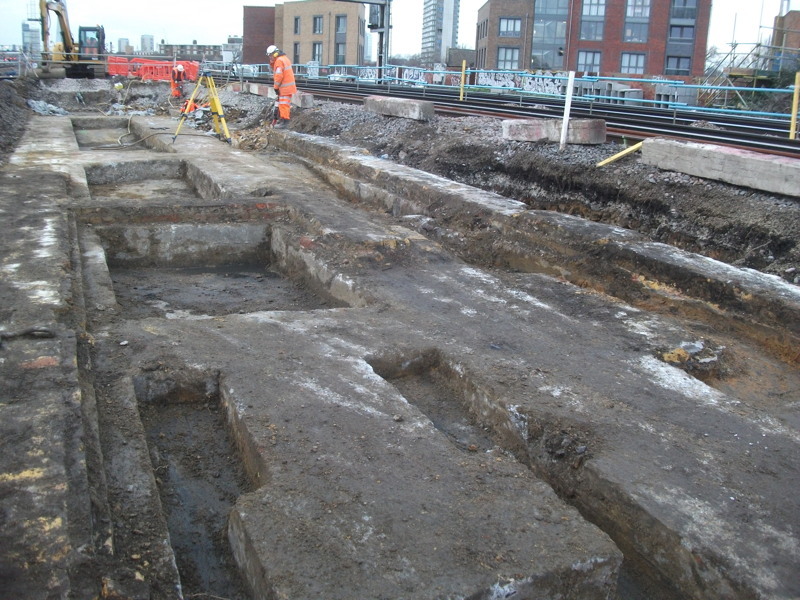 Last month we linked to IanVisits’s blog post about Southwark Park Railway Station in Rotherhithe New Road, remains of which have been uncovered during works on the Thameslink Programme to upgrade the lines into London Bridge. Now Network Rail has released more images and maps relating to the station. Southwark Park station, perched on a viaduct above Rotherhithe New Road, only served passengers from 1902 to 1915 before it closed for good. Project manager Greg Thornett said: “The Bermondsey Dive Under is a key part of the Thameslink Programme, creating the railway necessary to provide a frequent and reliable service through London Bridge and make a huge difference to passengers’ journeys , cutting journey times and making the services more reliable. “We uncovered the footings for the former platforms while we were preparing the top of the viaduct for new track and we are now working up in the roof space of the former ticket hall to fill in the old sky lights, ready to carry the final track alignment. The Bermondsey Dive Under will see two Victorian viaducts partially-demolished and rebuilt to allow Charing Cross trains from South East London and Kent to pass underneath the trains carrying Thameslink services from Croydon before returning to tracks on the same level. In addition the same team, from Network Rail and contractor Skanska, are rebuilding 20 bridges between New Cross and Waterloo East to increase their strength. Southwark Park station was one of several in the area, including Spa Road, closed as a result of competition from trams and buses and the coming of the First World War. 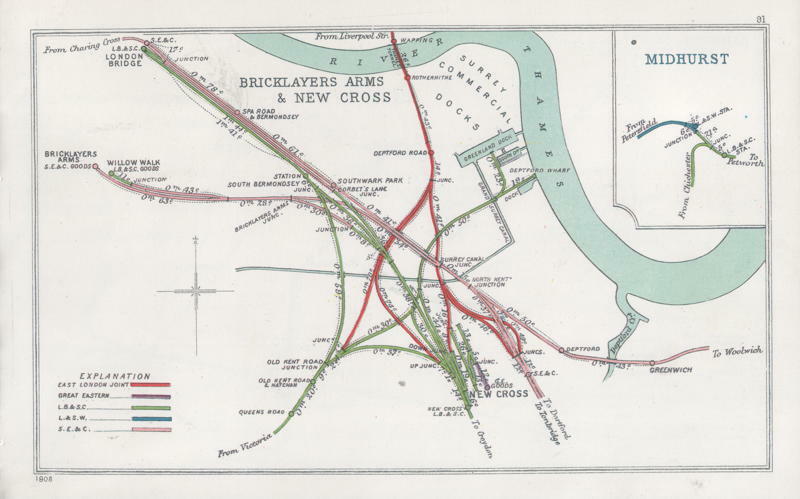 1908 map showing the railway network in Bermondsey, including Southwark Park Station. The Bermondsey Dive Under is situated where the former Bricklayers Arms branch left the main line and a new access road follows the former trackbed under the remaining viaducts. The site offices sit on the stub end of the trackbed leading towards the former locomotive shed. Network Rail says that he 20 bridges being replaced are of an old design where the rails are carried on timber baulks. These need replacing every 5-10 years so the newer structures will be stronger and last longer between maintenance. The 2015 London Marathon takes place on Sunday 26 April. Each year the event has a considerable impact on transport around the Rotherhithe peninsula. This year’s road closure leaflet has now been published. Each meeting of Bermondsey & Rotherhithe Community Council chooses a formal question to ask of the leader of Southwark Council or one of the cabinet members. Can the cabinet member for regeneration, planning and transport set out what steps the council is taking to improve traffic flow at the Rotherhithe tunnel on Lower Road and to ensure the C10 and 381 bus routes better serve the Rotherhithe peninsula? Can he also explain what steps he is taking to lobby Transport for London (TfL) on these issues? Officers are working with TfL to develop plans for Lower Road in order to deliver the measures identified in the Area Action Plan as well as the proposed Cycle Superhighway (CS4). Proposals to remove the Lower Road gyratory will be brought to public consultation later this year. TfL are also due to re-start design work on CS4 in the autumn and this will include proposals to address congestion at the tunnel roundabout. The council also expects TfL to conduct a comprehensive review of the local bus network as a result of proposed development at Canada Water, which together with the removal of the gyratory will result in significant alterations to bus routing through the area. As part of this work we are calling on TfL to increase the number of bus services in the area. Finally, the council has requested that TfL develop mitigating measures in response to the proposed tolling of the Blackwall Tunnel and the proposed Silvertown Tunnel. We are concerned that TfL’s proposals at Blackwall and Silvertown will worsen traffic levels and air pollution in Rotherhithe, and we will continue to press TfL on this issue. Look out for a separate news item about the council’s concerns about TfL’s plans at Blackwall and Silvertown. There was a tantalising hint about the prospect of an extension of the London cycle hire scheme to Bermondsey and Rotherhithe at Wednesday’s meeting of the London Assembly transport committee. 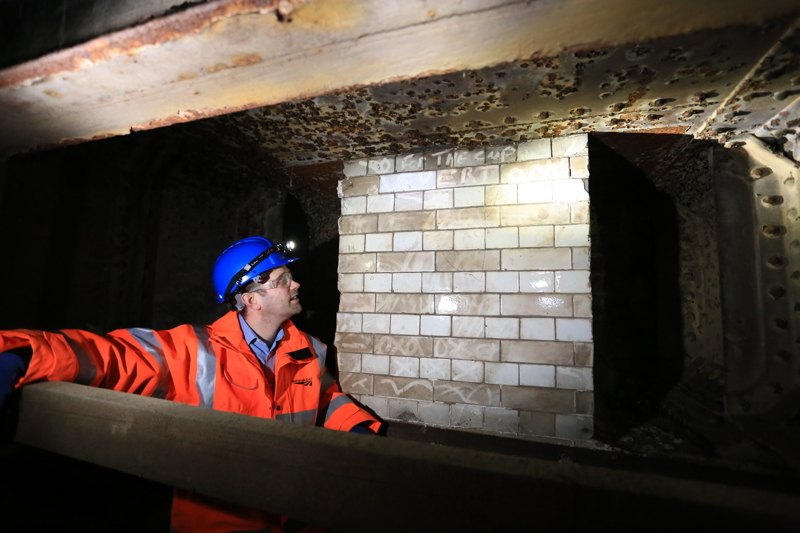 A century after it closed to passengers, traces of the short-lived Southwark Park Railway Station have been discovered by engineers working on the Thameslink Programme. IanVisits has been to have a look. Bus delays on Jamaica Road: what is TfL doing? I have been contacted by many constituents concerned that bus services using Jamaica Road – such as the 188 and 47 – are being severely disrupted due to congestion during peak periods. What does TfL plan to do to mitigate this situation for passengers? Route 47’s reliability has been affected by roadworks in Lewisham and at Ludgate, Aldgate and Cannon Street in the City. To mitigate, the service is temporarily curtailed to Liverpool Street from Shoreditch. Additionally, a new schedule with additional buses and drivers will be in operation from 14 March 2015. TfL will continue to closely monitor performance following these changes. A new schedule was also implemented on route 188 on 10 January 2015. As part of the Roads Modernisation Plan it is planned to invest £200 million between now and 2023/24 to maintain and improve the reliability of journey times on key bus routes. TfL officers plan to commence a study of route 188 by the end of March to inform the development of additional bus priority from 2015/16 onwards. 26 years later, some people still haven’t come to terms with the renaming of Surrey Docks Station as Surrey Quays – and from time to time there are calls for the name to be changed back. 15 years after the Jubilee line extension opened, Transport for London has launched a search for a development partner to build above Bermondsey Tube Station on Jamaica Road. The award-winning station was designed by Ian Ritchie Architects. An over-station development was always part of the plan. At last week’s transport-themed community council meeting Rotherhithe councillor Stephanie Cryan launched a petition calling on Transport for London to improve the C10 bus service and reduce the number of buses turned round at the Rotherhithe Tunnel roundabout rather than covering the full route via Rotherhithe Street to Canada Water. Last week TfL introduced a new timetable on the C10 to improve reliability. The number of vehicles required to run the service has been increased by one from 15 to 16. 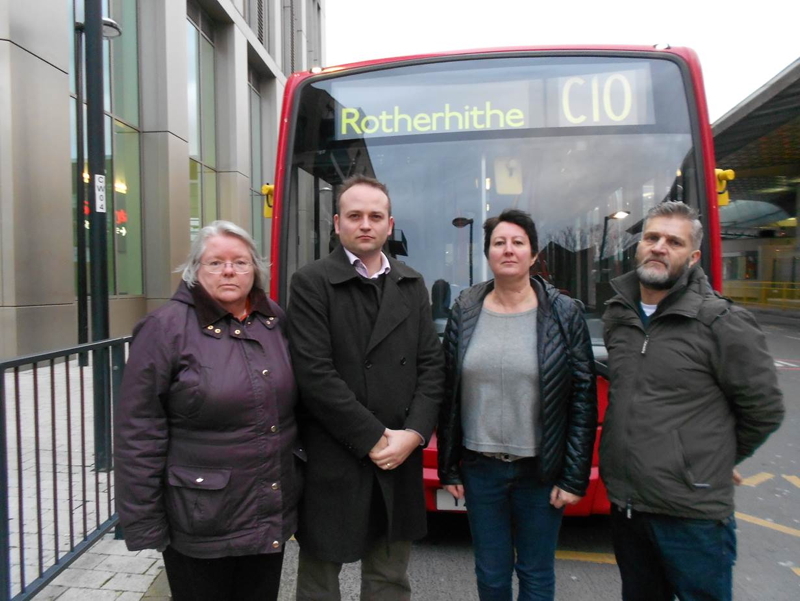 Cllr Neil Coyle (Labour’s prospective parliamentary candidate for Bermondsey & Old Southwark) said: “The C10 is the only bus that serves much of the Rotherhithe and Surrey Docks area, but several times every day the bus just gives up before it gets to Rotherhithe, and that just isn’t good enough.